Thumbnails are ideal when it comes to looking through a batch of images. This works very well for image search engines, on auction or shopping sites, photo hosting sites, and other types of sites where data is best displayed in a way that allows multiple results to be displayed without scrolling. While that's great for speeding up the search for specific items on the Internet, it at the same time means that the full sized image becomes only available after the thumbnail is clicked on. That's fine if you do it once or twice to click through, but what if you have found hundreds of images that you want to see in full size? We have covered browser extensions and userscripts in the past that allow you to zoom in on images posted on the web without having to click through. 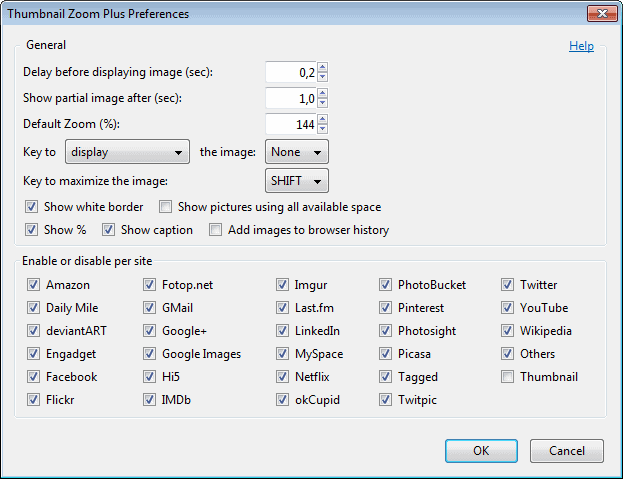 This includes Facebook Photo Zoom, the popular Image Zoom for Firefox or the Zoom Image userscript. Thumbnail Zoom Plus for Firefox is at its core yet another image zoom extension for the Firefox web browser. Unlike other solutions, it supports a wide variety of different image hosting sites, popular Internet destinations, and the majority of thumbnail to image links. The list of supported sites reads like the who is who of the Internet world, from Amazon, Mozilla and Bing, over Facebook and Flickr, to Wikipedia, Reddit, or WordPress. The extension works right away after you have installed it in Firefox and restarted the browser. To zoom in on an image, hover your mouse over it.That's all there is to it. One of the most interesting features of Thumbnail Zoom Plus is that it not only supports images that are directly linked, but also many indirectly linked images. On Reddit for instance, you find lots of images that are hosted on the popular image hosting site imgur. If you want to see the full image, you need to click through to see it on the site. 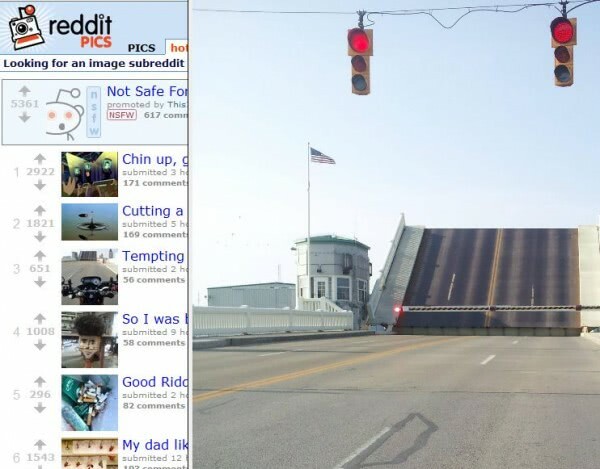 With the extension, you hover your mouse over the thumbnail to see the image right on Reddit. Another example are the images posted on Firefox add-on pages. To see a larger version, you need to click on them to see the large version of the image in an overlay on the site. With the extension, you see it after hovering over the thumbnail. The Firefox add-on adds an icon to the status bar of the browser that you can use to configure it. Here you can enable or disable the zoom functionality on supported websites, change the time you need to hover over an image before the full version is shown on the screen, and whether you only want the functionality to be activated when you press a hotkey while hovering over an image in the browser. The zoomed image remains visible until you move the mouse away from the thumbnail, click the mouse, or press the escape key on the keyboard. How would you compare it to this userscript? It’s supported sites list is quite big.. The script looks really good, and it works both in Firefox and Chrome. The supported site listing is different though. Thumbnail Zoom Plus for instance supports WordPress, Amazon or Picasa, while the userscript supports image hosting sites the Firefox extension does not. I’d say it comes down to the sites you are using in this case. Generic extensions are far superior. That said, a decent innovative browser should have built a lot more image zooming features into itself natively decades ago. The default double-click action on any image with an a tag around it containing a href with an image extension should be to open the href version of the image inline, without jumping out to a blank tab and that new style background that Firefox has implemented (the one that is confusing/messy for dark images). A userscript called image inliner used to be my weapon of choice as it supported a vast range of image host which included more than all the above mentioned put however it has not been updated in a long while and is now considered abandoned by many. It does not zoom the picture on this page. Chrome’s Photo Zoom for Google + does. Check for yourself. Web developers need to remember that touch screens such as iPads do not have a “hover” function… yet. I don’t think developers really care for tablets and honestly I don’t blame them although with many scripts there are options to no only hover but to preload thumbs and enlarge on click which works out quite nicely for image hosts that don’t allow hyperlinking,. I’m kind of sick of this entire tablet craze anyway and am disappointed in the direction of the new windows gui (metro the tablet gui and the desktop gui last) but I digress. Mouseover Popup Image Viewer looks okay (although I haven’t tested it) but it needs a lot more hosts. I’ve been using this since you wrote about it and love it. A killer feature is that it shows a linked image when you hover over the link. I had to fiddle with the response speed. The default is too fast, and I got very annoying quick-blinking images as I moved the mouse. The trick is to slow it down enogh to avoid the blinks without making the response annoyingly slow when I do want to enlarge something.